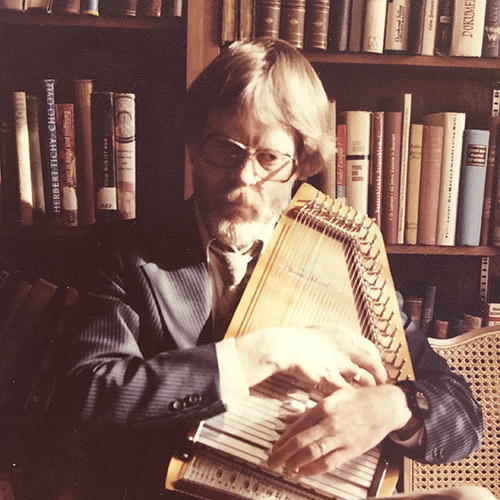 Prior to the merger of the Evangelical Lutheran Church in America (ELCA), the Media Services Center of the American Lutheran Church (ALC) employed John Ylvisaker to write original compositions for its resources. During 1985, the ALC was doing a series on baptism called “Reflections”. John began work on the song before any footage for the video had been shot. When the media team met to put the music with the video for the first time, it became obvious that the dance-like beat and fast rhythm of the music did not match the gentle scenes being depicted on the screen. The lyrics were on target, but not the music. As he left the studio that day, John received the suggestion to “take it home and personalize it”.